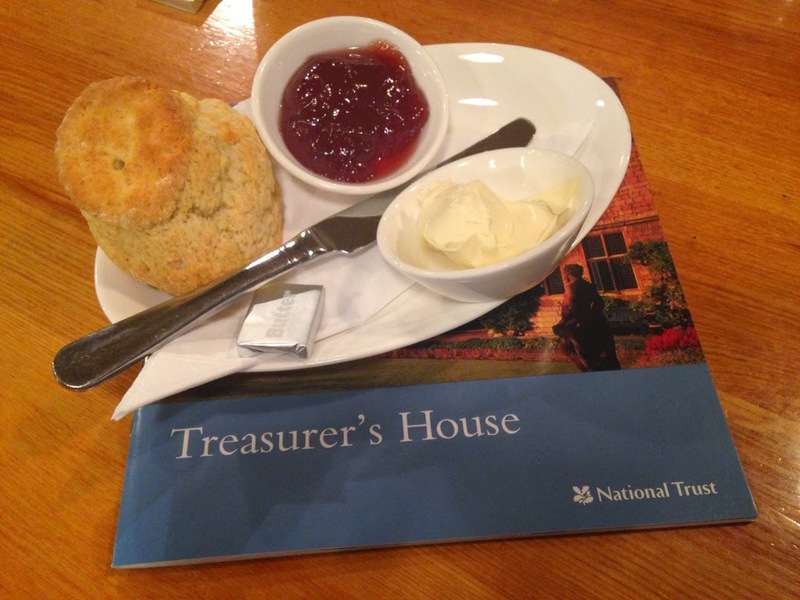 I get a mixed reaction when I first tell people about this National Trust Scone Blog. It varies from "that's...interesting" to "you are completely bats - why can't I have a normal sister". But today I admit that I pushed the boundaries of sanity by going all the way to Treasurer's House in York for a scone. It wasn't just any old scone though. 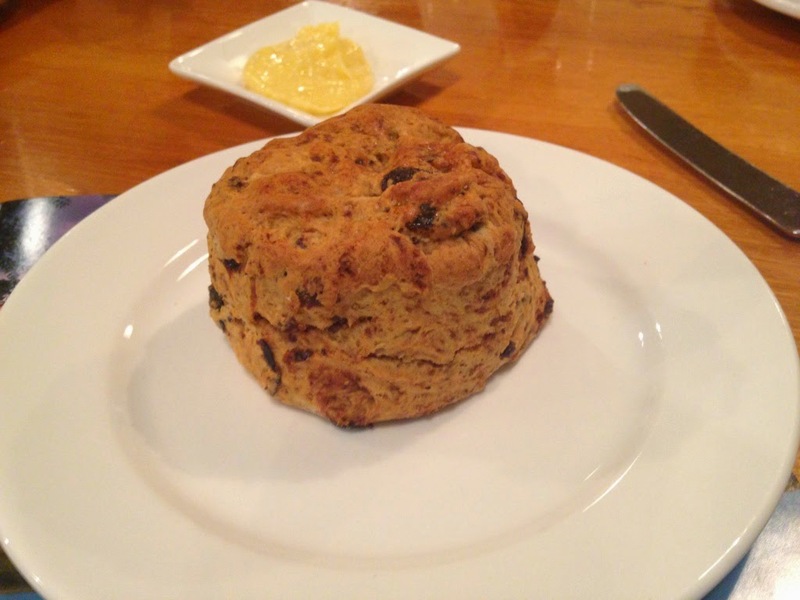 It was a CHRISTMAS PUDDING SCONE. I know. And I will freely and willingly admit to you that I cheated on this mission by hinting to them that I was coming because, frankly, if I had got all the way to York only to discover that they had decided not to bother making any that day I would have thrown myself onto the floor in a monstrous tantrum, which is not a good look for anyone, least of all a 40 year-old woman. 1. It was never actually the house of a treasurer. 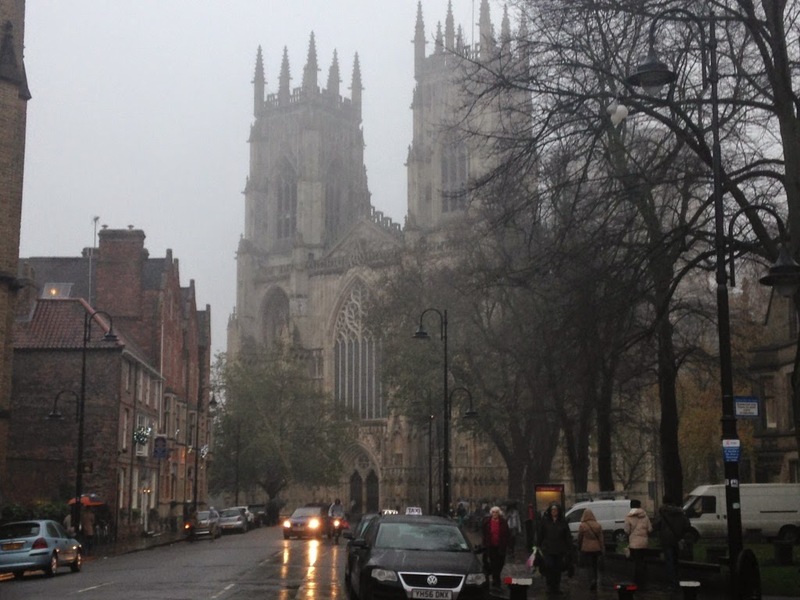 It was constructed in Elizabethan times on the site of a medieval mansion inhabited by the treasurer of York Minster. After the Reformation, it was announced that "the treasure having being confiscated there is no further need of a Treasurer" which is a fairly succinct way of telling someone they're fired. 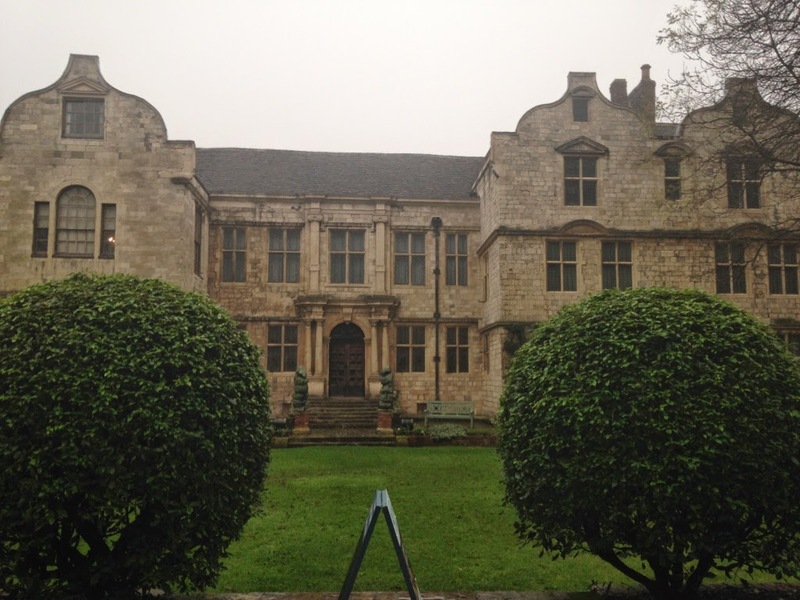 The medieval mansion was then passed to various archbishops. 2. Thomas Young, archbishop of York from 1562 to 1568, started work on the present house. It was chopped and changed and extended by other Youngs before being sold to Thomas Fairfax, the Parliamentarian leader. And so it went on, from owner to owner and extension after extension, until it was divided into five properties. 3. A man called Frank Green started acquiring the properties in 1897. He stamped his own mark on Treasurer's House - for example, he knocked many rooms and an attic together to create a medieval great hall that he insisted had once been part of the house, even though the building is no more medieval than I am. The Greens, who had made their money from a device used in steam-powered mills, liked hob-nobbing with royalty and after Queen Alexandra and Princess Victoria stayed in the house, Frank redecorated their rooms state bedroom-style and would show them off to visitors, even though the rooms had looked totally different when the royal guests actually slept in them. The house was in semi-hibernation today, as the doors close for winter on Sunday. This meant that visitors had to join a tour if they wanted to see the house and Bob who led us around was great. What I loved about Treasurer's House and Bob's tour was that I learned as much about the life of an early twentieth century business owner as I learned about the house. And that's very clever, because without the Frank Green story then Treasurer's House would be a hodge-podge of decorative and architectural styles, with a rather mis-matched collection of artefacts. But let us move on to the scones. I admit that I am a glass half empty kind of a girl and I was expecting something to go badly wrong on this scone mission, as so much was riding on it. Would the house be closed because of drizzle? Had I misread things and they were actually making black pudding scones? But the tearoom was cosy (don't get me started about the lovely toilets) and there on a blackboard were the words CHRISTMAS PUDDING SCONE WITH BRANDY BUTTER. I had to risk looking like a greedy pig and order a plain scone cream tea AND a pudding scone, as this is a highly scientific study and some control has to be maintained. But I only had eyes for the Christmas pud scone when they arrived. The aroma was out of this world, which is why my photos are so rubbish, as I just wanted to start stuffing my face as soon as humanly possible. 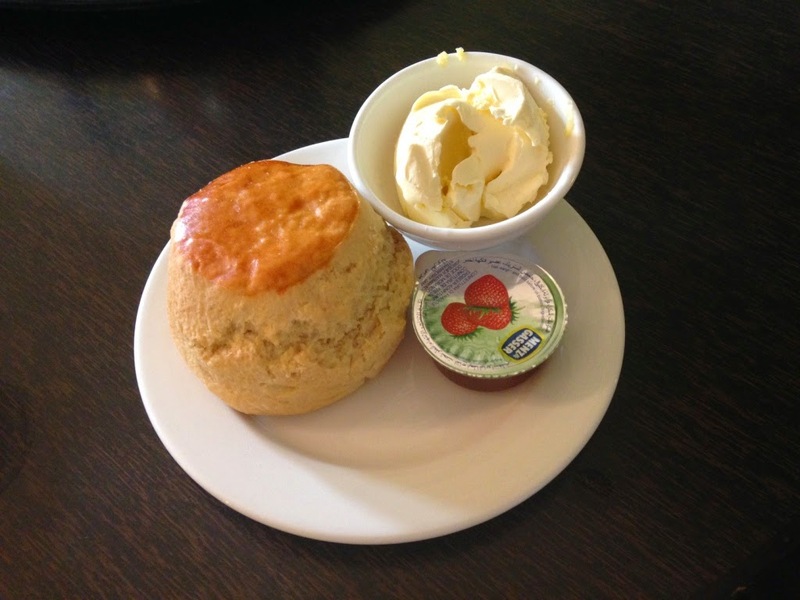 So let's just recap: I have travelled 200 miles for a scone. That scone looks amazing and smells amazing. Surely it can't be as nice as I am anticipating? Readers, it was off the scale delicious. That first bite of Christmas pudding scone with brandy butter will remain with me for a very long time. As I left I saw a man eating some sort of ordinary cake and I wanted to shout "THEY HAVE CHRISTMAS PUDDING SCONES, MAN! GET A RUDDY GRIP!" I ate every last bit of my pudding scone, and it was a hefty fellow. I then turned my by now slightly less enthusiastic attention to the plain scone. It was delicious. It was fresh and light and fluffy and I loved it enough to eat half of it before I started to look like a gerbil and had to stop. Was it worth the trip? 100% yes. 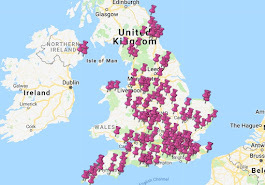 When I get planning permission to construct a National Trust Scone Walk of Fame in my back garden, Treasurers House will be right there with Flatford and Dunwich Heath in the pantheon of scones. The tea room remains open throughout December I think, so if you have any way of getting to York, GO. 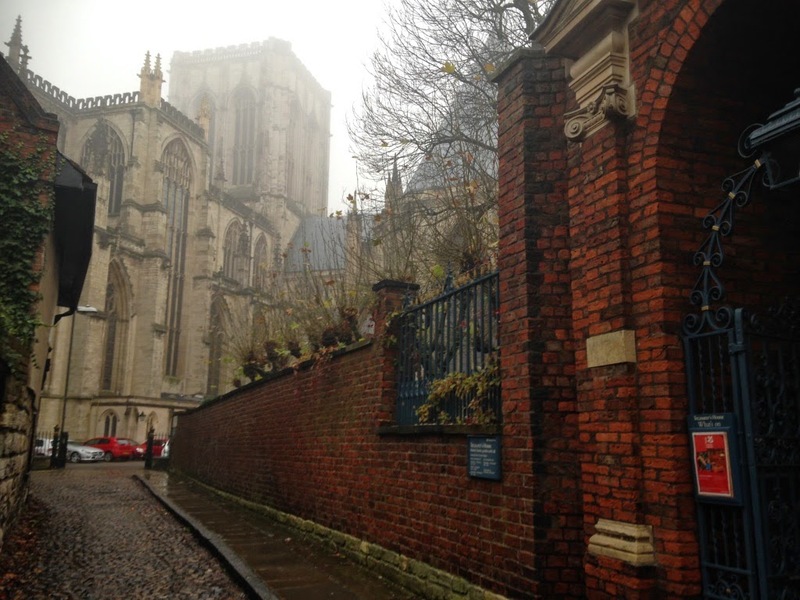 It's right next to the Minster so you can have a little look in there and you can check out the Christmas fair as well. Win win win. Cue very deep American TV announcer voice: Last time. At Bath Assembly Rooms. 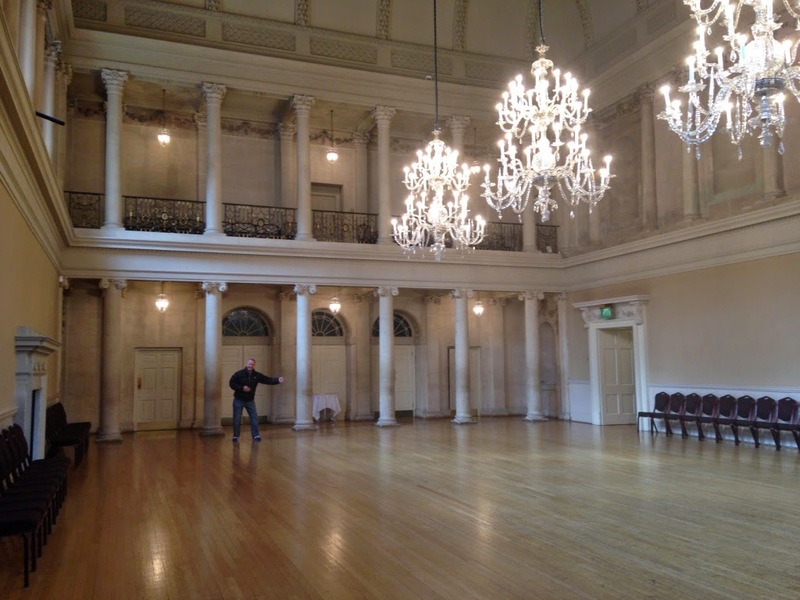 Yes, this pretty much describes my previous visit to Bath Assembly Rooms. It wasn't what you would call a major success - read the full tale of woe. I had a slight moment of panic when the scone sidekick announced that he wasn't hungry enough for a scone and he'd have a bit of mine, which obviously wasn't alright at all. So I bought a Bath Bun as well, thinking I could maybe fend him off with that. We ended up sharing all of it, but the Bath Bun was a REVELATION. 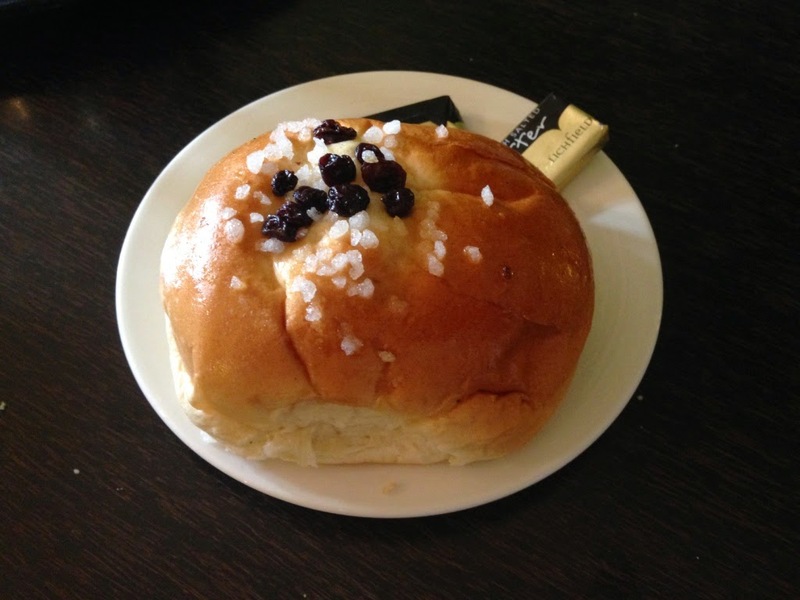 It was fresh as a daisy and very tasty indeed, so hurrah for the Bath Bun. The second bit of success was that all of the Assembly Rooms were open - last year many of the rooms were closed for a function, which is fair enough really considering that the Assembly Rooms were built for functions in the first place. These Assembly Rooms were built in 1769. 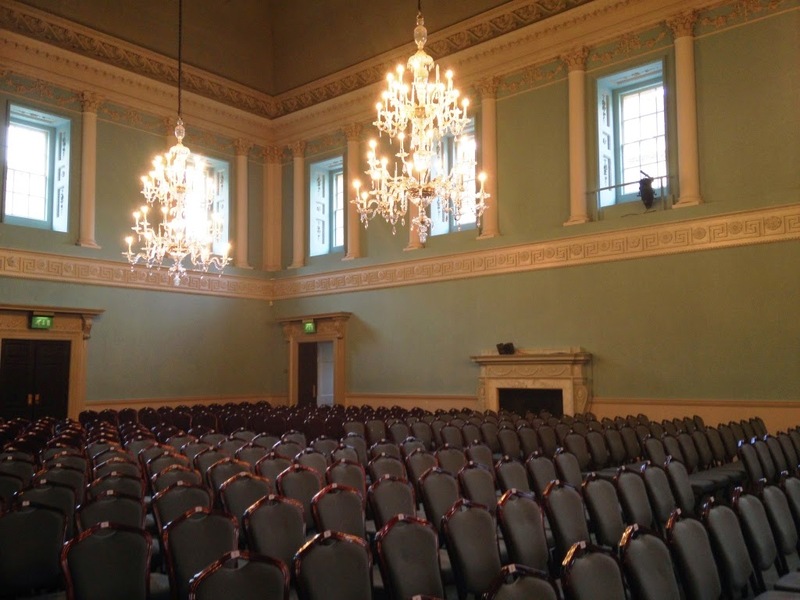 The old Assembly Rooms were too small to accommodate the hordes that started descending on Bath during its Georgian heyday, as documented by Jane Austen. So John Wood the Elder and his son, helpfully known as John Wood the Younger, designed and built the Upper Assembly Rooms that are now in the care of the National Trust. But I went into great detail about all of this in my previous post so I won't repeat it all here. Instead I shall end by raving about the city of Bath itself. It really is a fantastic place. 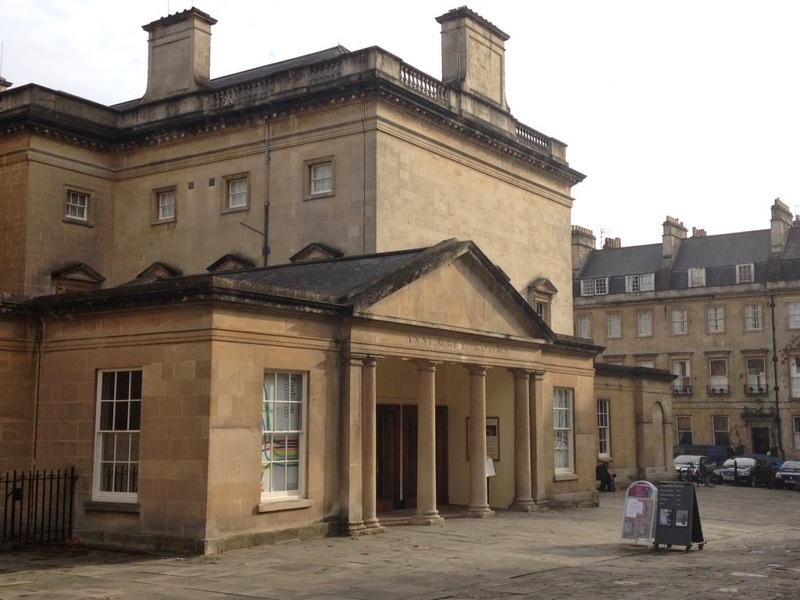 You can visit the amazing Roman Baths, which should be on anyone's bucket list, and the Pump Room, which you can see below on the right, next door to Bath Abbey where a nice busker was doing a very passable version of Jolene. If you're reading this thinking 'actually, I prefer it when things go completely wrong for her', then you're in luck - today I also tried to visit Bath Skyline, which is a set of footpaths that provide stunning views over the city. It didn't go according to plan - read about Bath Skyline. SPOILER ALERT: there are no scones on Bath Skyline. 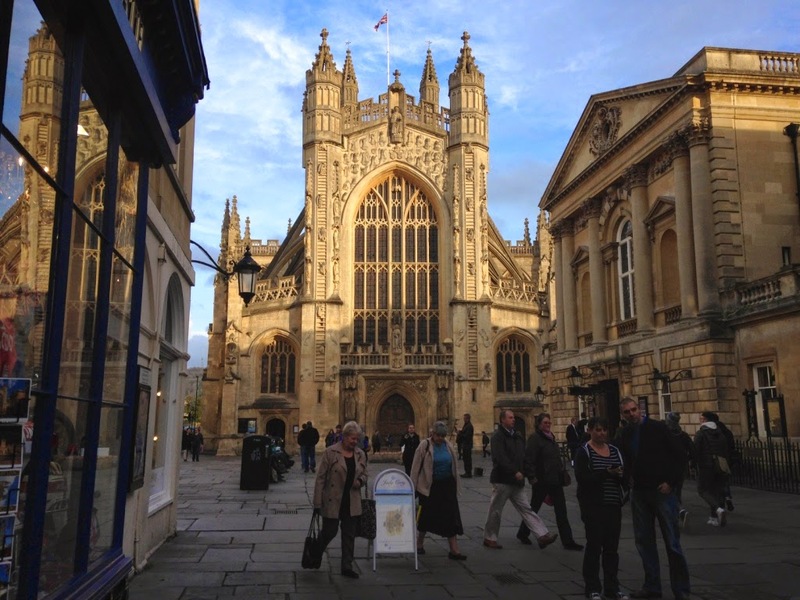 This is because Bath Skyline is a 6 mile walk along some footpaths, with stunning views of Bath along the way. If you want to eat scones in a National Trust property in Bath, you need to go to Bath Assembly Rooms, where I also went today. HOWEVER. I cannot be 100% certain that there are no scones on Bath Skyline. I cannot be 100% certain that there are 6 miles of footpath, nor that there are stunning views of Bath along the way. 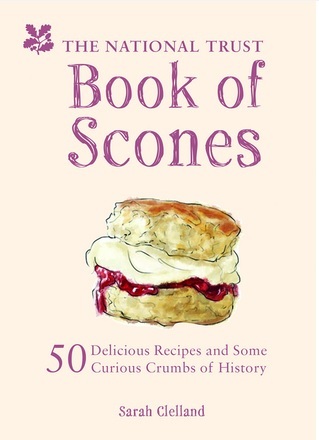 For all I know, there could be a Madame Sconeington-Sconesbury's Superstore of Scones on the Bath Skyline. I don't know because I couldn't actually FIND Bath Skyline. I'm not blaming anyone but myself and the scone sidekick for this. The woman in the tourist office gave us a map and warned us that the bit of Bath Skyline nearest the town isn't very well signposted. I am absolutely hopeless with a map anyway. And we were short of time - today we walked along, argued twice about where we were, and then gave up. Usually we make this last at least an hour. 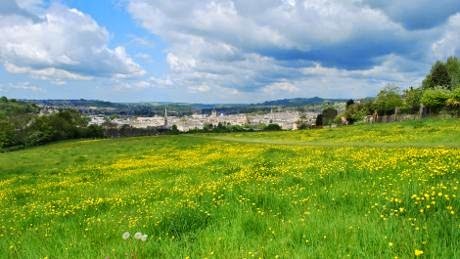 So here's a picture I borrowed from the National Trust website, showing a view from Bath Skyline. I think you will agree that it's lovely. One day, I will return and I WILL FIND IT.